“The commander left before and was on the dock before everyone was off,” said Gondelle. “Normally the commander should leave at the end”. 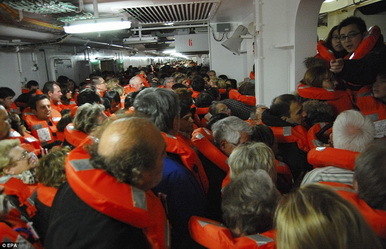 Captain Schettino has told Mediaset television he did not leave the liner before all passengers were off, saying “we were the last ones to leave the ship.” That clearly wasn’t the case as the finding of the three survivors aboard Saturday night and Sunday showed. 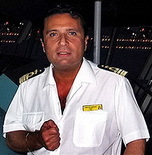 If such allegations are proven to be true, according to the Italian navigation code, Captain Schettino will face up to 12 years in prison if convicted of abandoning ship, and up to 15 years if convicted of manslaughter under Italian criminal law.